The new 2018/19 range of Hamer Guitars are now available in the UK! 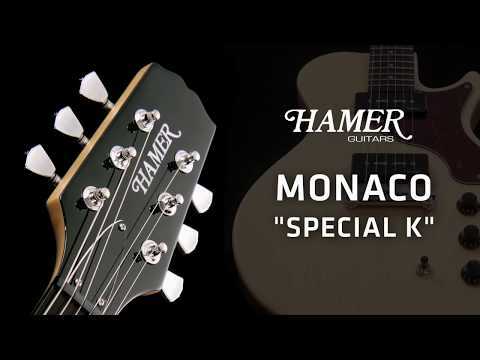 The Monaco Korina - The 2018/19 Monaco Korina is a cool and lightweight guitar based on a very limited edition, much-sought-after, Hamer custom shop model from 2005. 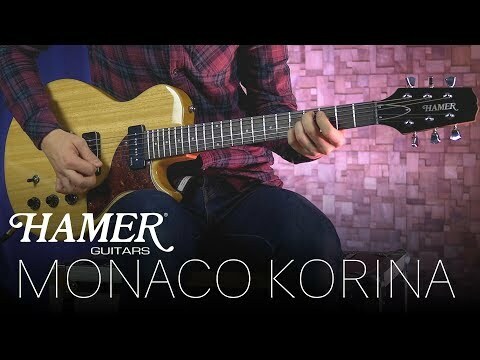 Just like that vintage masterpiece, the new Monaco Korina features a solid Korina single cut body and Korina neck with Ebony fretboard and jumbo frets. The two soapbar P90 pickups and wrap-around Wilkinson bridge deliver a warm and versatile tone and all the sustain of much heavier Mahogany solid body guitars. More information on the Hamer range at UK distributor Sound Technology Ltd: https://www.soundtech.co.uk/music-retail/hamer-guitars Demo by Elliott Thomas / Sound Technology Ltd.